Well, at least the Circus Circus Hotel and Casino… We want to thank the folks at Cartoon Brew for turning us on to this new press release: “For generations of animation fans there is no greater legend than Chuck Jones. The creator of the famed Looney Tunes and Merrie Melodies shorts for Warner Bros., Tom & Jerry cartoons, the TV version of Dr. Seuss’ How the Grinch Stole Christmas and many other well-known classics, Jones was a pioneer in the art of animation and a fine artist in his own right. 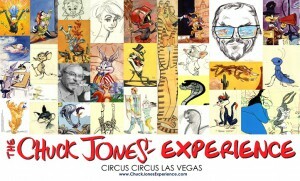 His life and legacy will be celebrated on January 19 with the official grand opening of The Chuck Jones Experience at Circus Circus Las Vegas… The Chuck Jones Experience is a nearly 10,000-square-foot destination that provides kids and animation fans of all ages with an extraordinary place to not only learn about the art of animation, but to discover the creativity and magic that’s inside us all. 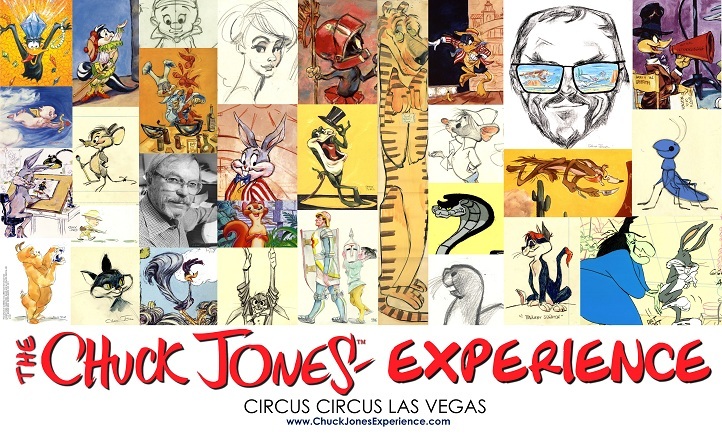 Designed to ‘Educate, Inspire & Entertain’, The Chuck Jones Experience takes visitors on a unique journey through Jones’ life, engaging guests with interactive exhibits, displays and learning experiences along the way. The Chuck Jones Experience is also home to the largest collection of original Chuck Jones animation and fine art anywhere in the world with more than 250 pieces on permanent display.” Check out the rest of the press release at Cartoon Brew to find out more details about this new exhibit, including features like the Chuck Jones Center for Creativity Learning Center, Animation Alley, the Acme Workshop, and more.